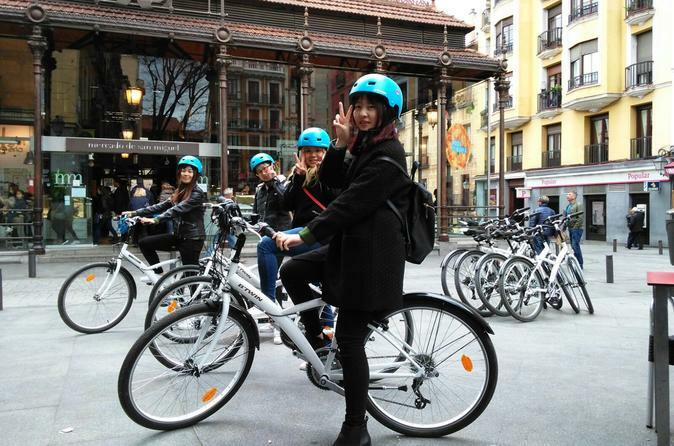 3 hours on a Bike to get into the historical essence of Madrid! Know on the spot the evolution of the most powerful empire in the XV and XVI century, and visit the places where the Visigoth culture still remains; all this on one of the means of transportation that is spreading the most nowadays: Bicycles (electric or regular). Inquisition, the Discovery of América, the Age of Enlightenment… part of the past which has its remains on today. Starting in the historical center of Madrid we will first start on XV up to XVII Century buildings and which is their influence along history. Do you want to know what was our Mayor Square (Plaza Mayor) used for on the XV Century? or what is beyond the “Cutler’s Arch”? the narrowest building or the shortest street…? We will stop at Plaza de la Villa, where the former City Hall used to be until this century, there you can see the architectural evolution of that time. And down we go to Plaza de Oriente (Orient Square) and stop to see the view: Royal Palace and Almudena Cathedral and if we are so lucky to have a clear day we will be able to see the town of El Escorial and the Monastery in the mountainside. All this is at the end of a slope that takes us to the Riverside or commonly known as Madrid Rio, which is one of the biggest urban project on the last century and beginning of this one. It´s garden area full of fountains and different bridges, the old Puente del Rey that took his Majesty to his summer residence: El Escorial; and it ends at the old Slaughterhouse, which is an exhibition center now. And then back to our quarters taking the best: an old market, or Puerta del Sol, our “0”point plate, where all Spanish radial roads start.